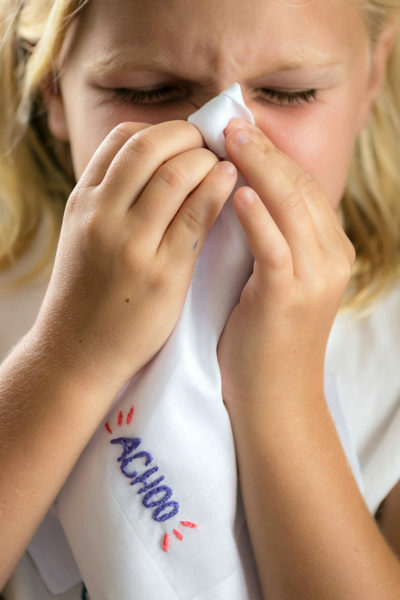 Do you have little pirates in your house? With shows like Pirates of the Caribbean and Jake and the Never Land Pirates being so popular the past few years, it seems like pirate decor has become all the rage with little ones. I love the whole fantasy aspect of it – from treasure maps, pirate princesses, telescopes, pirate ships, and of course finding buried treasure, the throwback to classic pirate decor is everywhere. 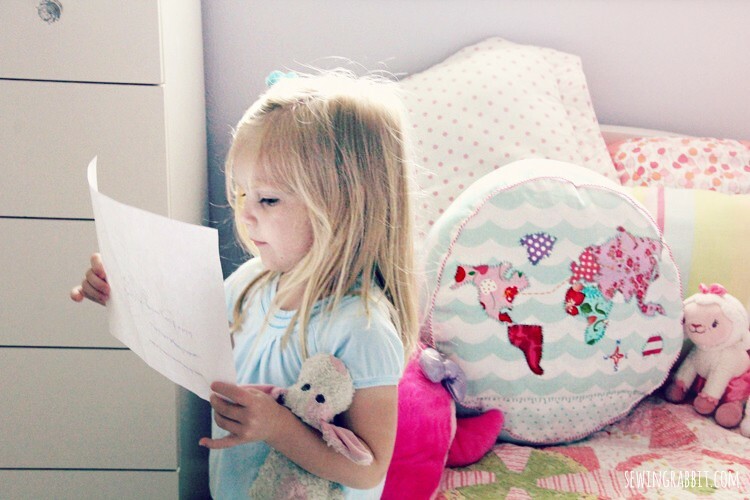 So when I saw this Map Pillow Project from Jo-Ann Fabric & Craft Stores, I knew my kids would love it! 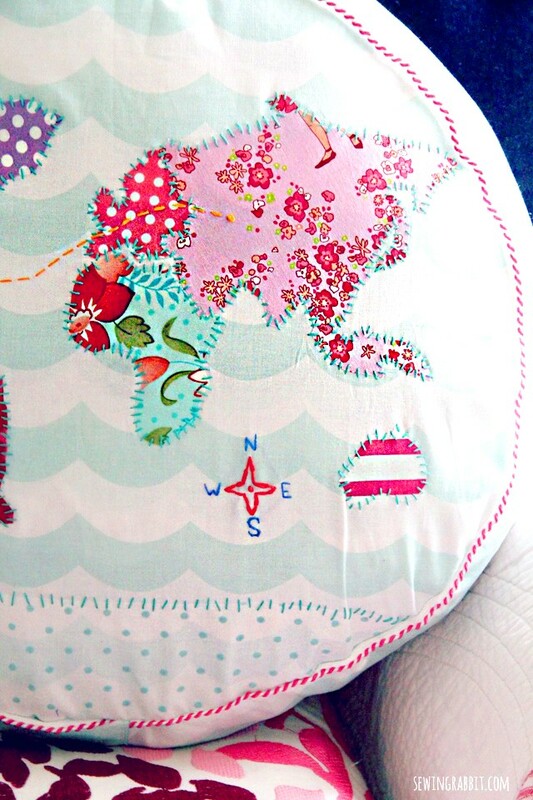 I loved the idea of the map pillow, which of course is perfect for little boys. But its my girls that are into finding buried treasures, and X marks the spot adventure. 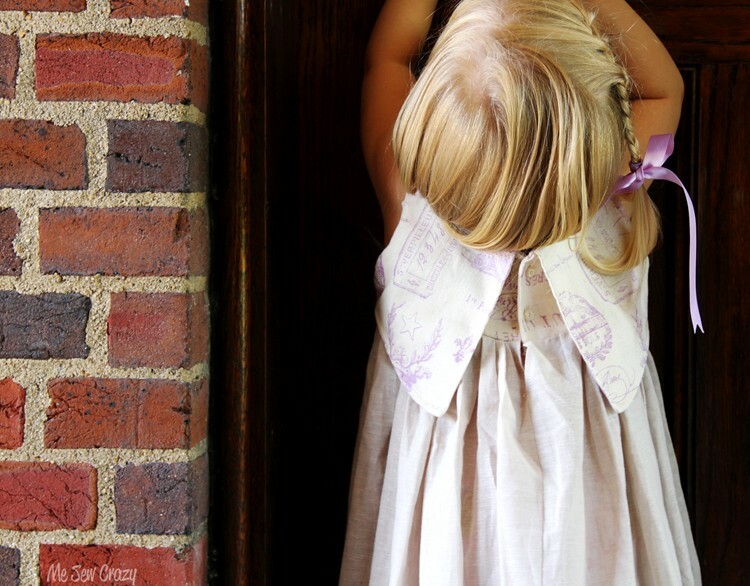 So by simply switching out the fabric recommendations for my more girly fabrics and colors – I was able to recreate this fabulous free sewing pattern into something more appropriate for our house. 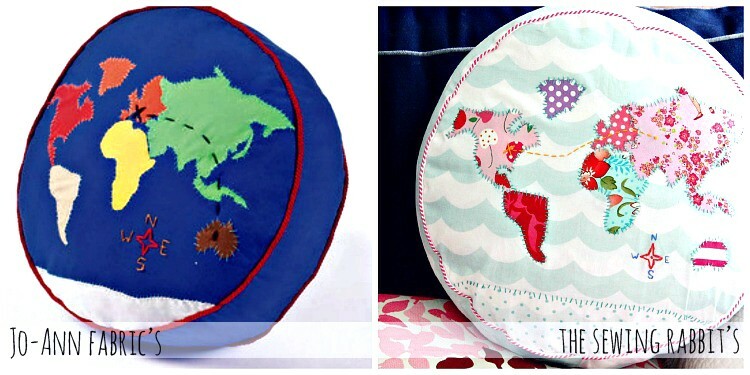 Make your own Map Pillow. 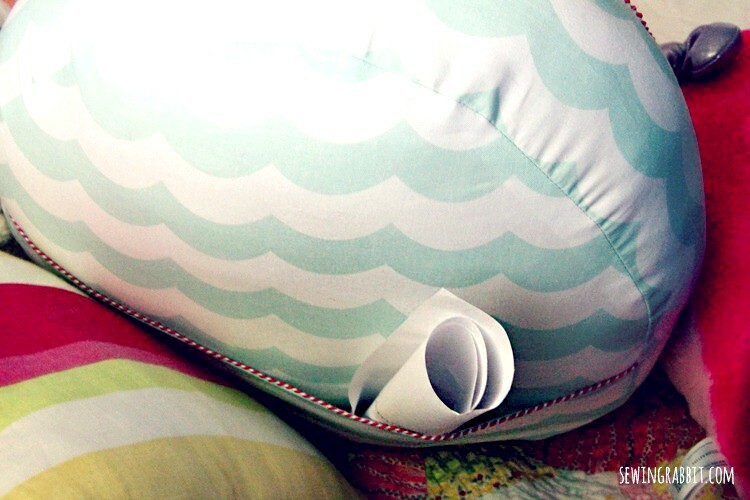 And what map pillow would be complete without a hidden pocket on the back for treasure maps? To add the pocket back, I simply folded one of the back circle pattern pieces in half and basted around the outer edge to the other back circle pattern piece (the piping is optional). Then continued on with the pattern’s instructions found here. I also used heat n’bond to help adhere the continents – which really helps speed up the process of this project. The embroidery is completely optional, but I just couldn’t help myself! One night in front of the TV and I was done. I would suggest a thicker piping then the one I used, as it got a little floppy looking and thicker piping will help keep its shape better. But I just couldn’t resist the hot pink and white stripe. Thank you so much Elizabeth!!! I hope you are up and feeling better again – you were so missed! Oh my gosh this is the cutest pillow! 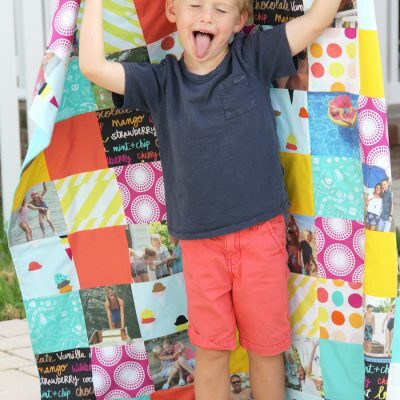 I love the fabrics you used – they are perfect! 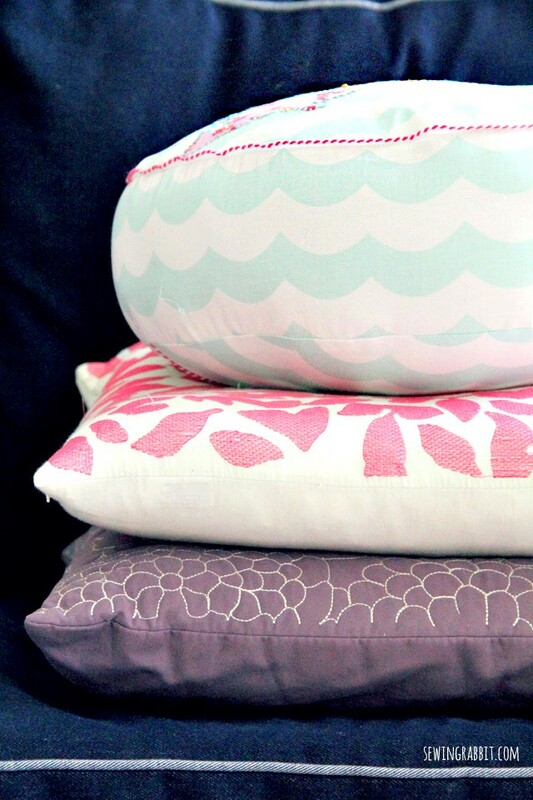 They are such cute pillows Jessica! I also LOVE the new look of your blog, so beautiful and well organized. Thank you so much Sachiko! Cute pillow!! I love the super skinny stripe piping you used; making your own piping is fun too. 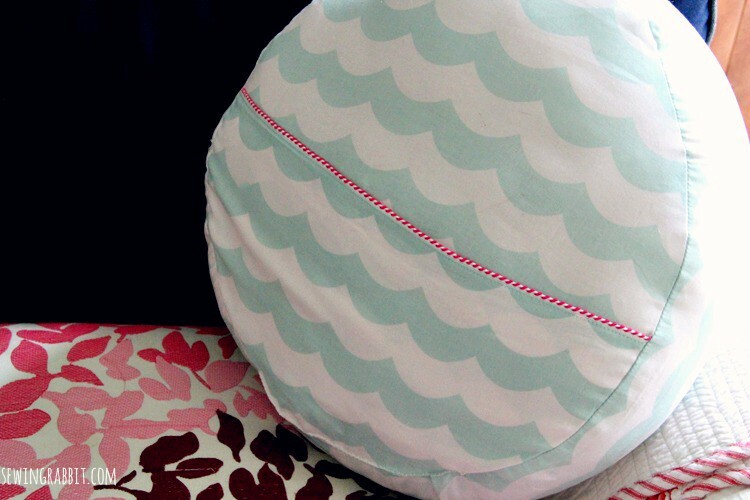 This pillow is so cute! Please tell me you found that adorable piping at Joann’s, and not in LA. I really need to get some for myself! I did!!! My local fabric store had it to purchase by the yard! Eep! This is SO damn cute!! We are *fingers crossed* buying our first house really really soon, and I am SO excited to plan the kids rooms out! I really want to do a nautical theme for Vince’s room, but man that map pillow is sooooooo wonderful! It will fit with Edison’s patchworky pretty room too!! LOVE this! And I love the fabrics you used. I need to add this to my ‘to make’ list for the summer. I’m so sad I looked at JoAnn’s projects and while it’s listed it’s not there to download anymore or even add to “your project list”. Jess, I love, love, love your pillow and I’d love to make it one day, but I clicked on your link “pattern’s instructions found here” and the link is broken. 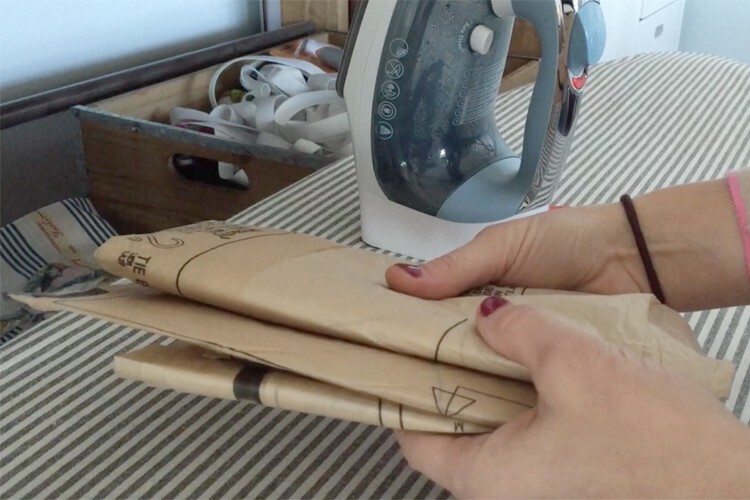 Any chance you have the instructions on paper or saved to your hard drive? 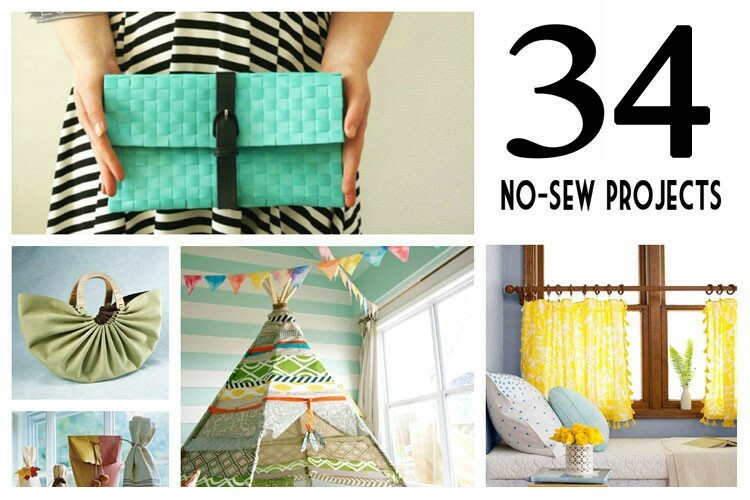 Also, you might be interested to know that I’m hosting a $65 Etsy shop giveaway on my blog this week.